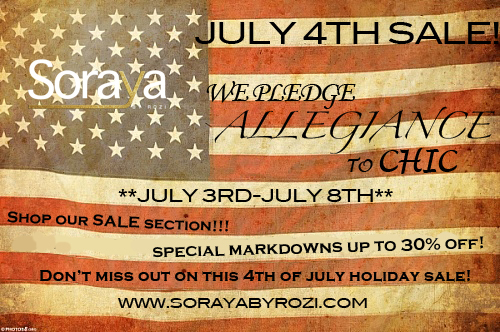 Shop our July 4th Sale! Don't miss out on this fabulous online sale! We have your favorite items discounted at unbelievable prices! Sale ends July 8th! Happy shopping fashionistas!